My Response to the Investigation of Dr. Anju Usman! | I am JuJu! This entry was tagged Anju Usman, Autism, DAN, lawsuit. Bookmark the permalink. No one questions a parent who treats their child for cancer. Why do people question and judge a parent who treat a child for autism? Autism is not a state of being- it is a disease. Diseases are meant to be treated. I do question people who state, “I’m glad my child has autism.” What? That is ridiculous. As a nurse, as a cancer survivor, and as a parent, I question people who do not do what is necessary to help their children become healthier and happier (within their means). I understand the financial and time constraints of illness and so I don’t judge people who can’t afford treatment. But I have personally seen improvements in Skylar because of the treatments of Dr. Usman. Was I a skeptic at first? Yes- as a nurse who had really only been exposed to traditional methods of medicine. Now after 16 years as a nurse and a 7 year cancer survivor, I truly believe you seek out any treatment for disease that makes a life better, more productive, less painful, etc. I read the article and several comments. Nauseating and ignorant- plain and simple. And if you’ve never met her, you have no right to assert your opinion on those who have and question the positive outcomes of some of her clients. And as far as traditional medicine- how is the working out as autism continues to rise? We are doing a great job, right? So please don’t fault a physician for trying to find alternatives to an awful disease OR parents who are desperate for a cure or a better life for their child. Just like someone commented on facebook..people too often like to jump on band wagons. If this article had been praising this awesome doctor, then they would be singing her praises in the comments they post. Parents are lazy. They don’t take time to educate themselves. I am told time and time again by teachers and administrators how happy they are that I am Garrison’s mom. How shocked they are to find a mom so pro-active in his life. Someone who has studied my sons disease and someone who has studied the laws of each state we live in. They constantly tell me that 99% of the parents they come across is a parent who has no clue what they can/cannot do in regards to education and the legal system. Invest in your kids people. Take some time and do the research and be pro-active in their lives. Julie knows that I do not have a DAN doctor for Garrison. We have never felt the desire to go down that road. However, I support her 100% in her decision and agree 100% this is the right thing to do for our sweet Skylar. However, she has also never once told me that I was a bad mom for not choosing that route for my son. We are 2 moms who fight in different ways with neither way being the right or wrong way, just the best fit for our child. People, develop your own opinions. How does one do that? By getting off of the couch and learning about your child. Take the time to benefit from the plethora of information out there. Otherwise, you are to blame for the unfortunate consequences that you and your child will face by being so uneducated about this disease. Well said!!! Some people choose to remain ignorant; that is really sad. You keep doing what you are doing for her and bringing about an awareness. It is about time someone got punished for the abuse of Autistic children. Next time can we punish someone who is actually damaging Autistic children? Can we please prosecute Dr Joseph Beiderman for every child who has died as a result of his negligence. Just to be clear, Dr. Usman should be punished for offering alternatives to parents to try to improve the quality of life for their kids? And Dr. Beiderman isn’t the only physician prescribing medications to children. But to say he has caused their death? I have been reading both sides of these arguments and the anger needs to be directed towards autism itself and finding a cure. Not at people who are passionate about improving the life of those with the disease. And the last time I checked as a nurse, the parents have to consent to these treatments. No one is holding a gun to their head. Having a daughter with DS (not autism) and “treating” her with supplements, I’ve heard this statement time and again (just substitute DS for autism). What I am doing is accepting my daughter, not DS and the damage it does to her. For many of the parents I’ve come across who make such a statement….they are feeling guilty, plus finding a way out of doing nothing outside the box. Would I accept cancer, diabetes, vitamin deficiency in my child? No I would treat it, and that’s what I’m doing. IMO, any parent not “treating” autism, etc. should be ashamed. Thanks for this post Juju. Dr. Usman is my son’s Dr. too and you put many of my own thoughts into written word. I am just sick about this mess and genuinely worried about Dr. U and all her patients, including us. No matter what smear campaign is done, we who have children recovering or recovered from autism, (mine), know the truth. She will always and forever be regarded as a one of the most well-known docs in the autism recovery field. Yes, thousands have been recovered. Google autism recovery to find them, there are many. 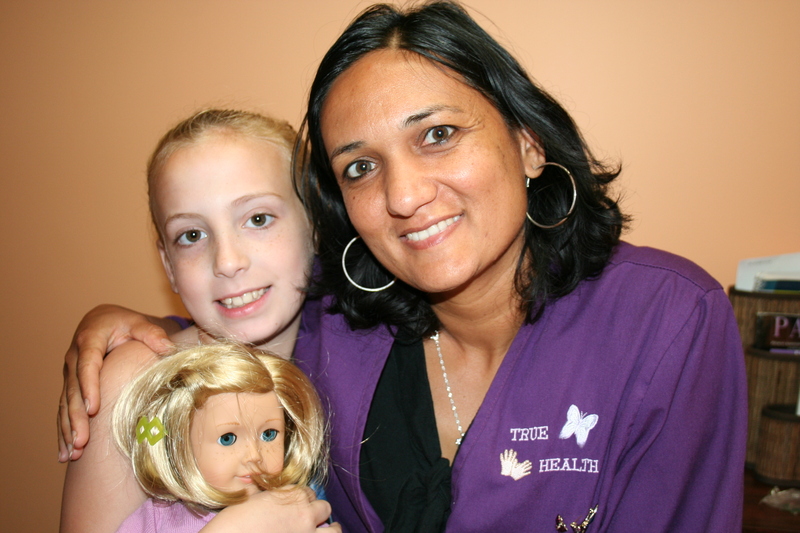 Dr. Usman has taught many other doctors about the health problems found in autism. She has been a huge contributor and will go down in history as a blessing to the autism community. And that’s fact!!!!!!! Shame on anyone who would put a damper on autism recovery!!! Dr. Usman is our daughter’s DAN doctor as well. The irony is that I’m not all that into biomed…my husband is the bigger proponent in our case. We’ve done a whole lot of different protocols with Audrey and IMO have not seen any big “wow’s” with any of them. BUT I love Dr. Usman and she has never once tried to push anything on us that we were not 100% comfortable with. She knows my stance and takes my conservative-ness into account. The father in the custody battle must have never opened his mouth! I read the news article and the bitterness just was overflowing in it. I’ve heard only good things about Dr. Usman and had planned on taking our daughter there until we lost part of our income this year but as soon as we can we will take her there. Dr. Usman is wonderful! I hope that you will be able to see her soon. Blessings to you! we saw her and i thought she was wonderful. I think Michael Phelps sleeps in a hyperbaric chamber… to think that this is “awful” is kind of silly. on the World wide web currently and is the perfect spot to promote your business. By acquiring Facebook fans, you can genuinely enhance your revenue! visit this webpage on regular basis to get updated from newest news update. Dr Anju is truly an angel. I have seen the benefits! (I worked w/ her.) The brain/gut connection is very real. Her passion comes from the loss of her own child. (That alone is her driving force.) I believe in her work! I also believe in her. I’ts really terrible to hear about this lawsuit. I know she’ll persevere through this trial. Love & prayers to all the families who have put their trust in her & keep the light of hope shining! If you knew her you would just love her instantly. ❤ … I would fight for her! !